This app makes me happy. Thank you! Hi, it would be useful to load GPX tracks and to view the elevation profile of the track. I think it would be not too hard. Loading of GPX tracks will come in 3.20! Anway, the elevation value (that is taken from smartphone gps) is often incorrect. There's a button "Add Elevation From Google Maps Service" that fixes the elevation value of the gpx to more correct values. Maybe you know this but check out http://transitfeeds.com/, it's a nice database of known GTFS feeds there and you can request more to add, so is somewhat collaborative. They have an API to list all the available feeds in their database, so you can have a good source to feed your OTP instance. Aha, no I hadn't seen that one! I picked from some project on google code and from gtfs-exchange. I imagine our server would download directly from the respective transit authority's servers when there's an update. 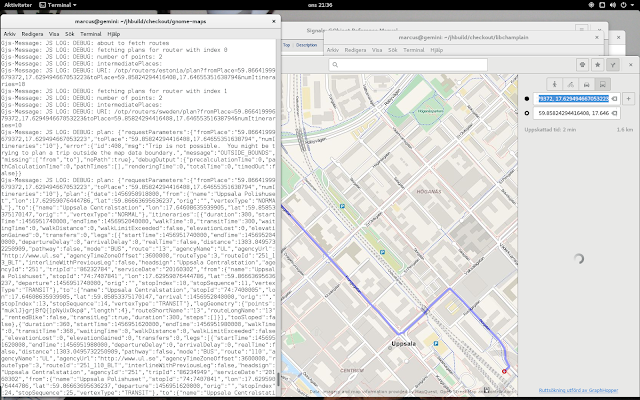 Question - do you consume only GTFS or do you add OSM data too? Last time I did full scan it barely could parse one city. I have only imported GTFS data. 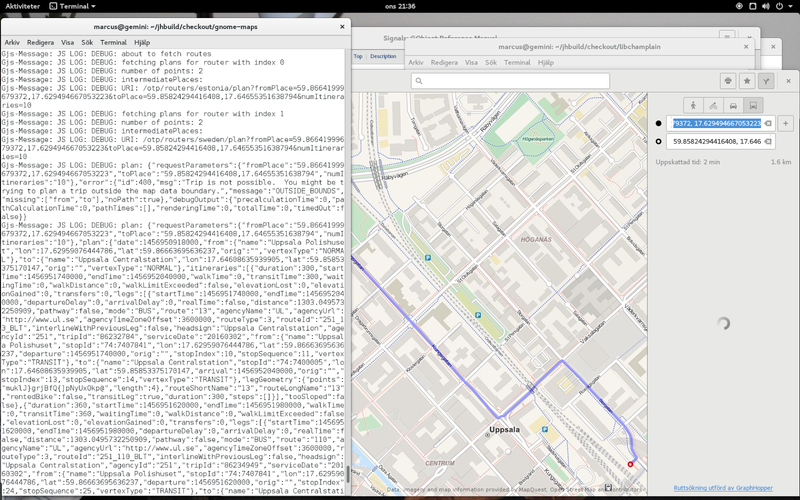 My plan is to try and combine GraphHopper (which we currently use for turn-based routing) for car, bike, and walking with OTP for transit routing. So, we'd basically do a search from start and end positions which OTP would return with itineraries from the closes transit stops in this case, and then reach out to GraphHopper to "fill in" walking to and from the transit endpoints (in case the distance is above some threashhold value perhaps). Examine this mspy review that would show you what is tracking app and how to use it.